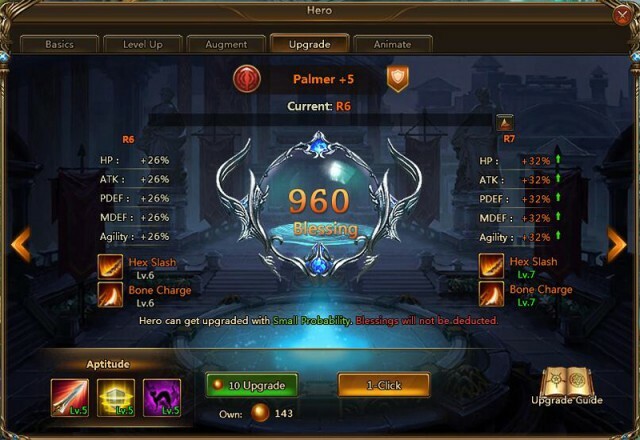 ♪ Requirement: Character level 60; Character or Heroes upgraded to R5 and higher. ♪ Entry: From Cultivation Panel, click the Upgrade tab. Aptitude system is located in the lower left corner of the panel. - Aptitude consumes Codex. Players can get Codex by completing required challenges in in-game events. Codex is not available in Mall currently. 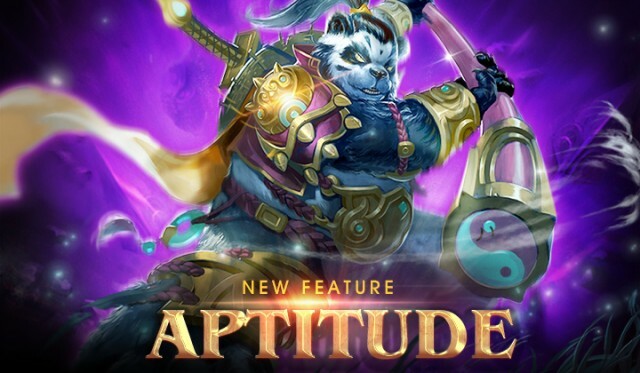 - Each Hero has 3 different and fixed Aptitudes to be upgraded. Each Aptitude may affect 1 - 4 attributes including ATK, DEF, HP etc. These attributes can be greatly improved by Aptitude. Note: This picture is just for reference, please see in-game for final version.